Do you want to make it big in poker? Do you have a dream of becoming a poker pro one day or at least a successful semi-professional? This is the first question that I ask everyone who joins my free poker newsletter. And I have received thousands of replies from many of you guys telling me that yes, you do. Poker is not easy in 2019. And yes, even at very low stakes like I talk about all the time on this blog. Many poker players are studying more these days, improving and some of them play pretty well! However, here's the other crucial thing. You don't always have to be the best poker player in order to make a lot of money or be famous in this game. In fact I would argue that many of the most successful poker pros in history (in terms of money taken out of the poker economy) are actually not the best poker players in terms of skill. They are instead the smartest poker players. They get this game on a much deeper level than most other pros. They know how to keep their cool better under pressure and they also understand the importance of game selection much better. This is exactly what I am going to show you how to do in this article. 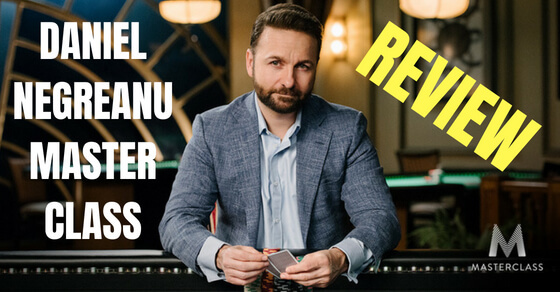 First things first, what is the best way to become a poker pro in 2019 and make a ton of money at the tables? Well, like I said, the games are no walk in the park anymore even at the lower limits. You have to play a lot, study a lot and be really dedicated in order to have big success these days. I would estimate that at least 95% of people who play this game will never make significant life changing money in poker. In fact, most of them won't even win at all. This is just the cold hard reality of the game. However poker phenoms do appear out of nowhere every single year and take over the game for awhile and become the new big thing. So while the deck is stacked against you making 5 figures, 6 figures or 7 figures a year in poker, it does happen to some people. After all somebody has to win big right? So what should you do if you goal is to become a poker pro and make a lot of money in this game one day? Well, I always recommend that you start at small stakes and learn the fundamentals first. You have to learn how to beat bad poker players before you can expect to win against other good players and especially against pros. 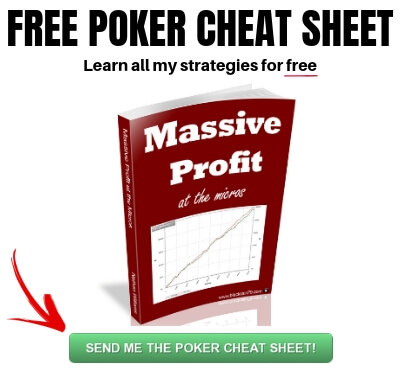 You should focus on using one simple TAG (tight and aggressive) strategy at first for beating the lower stakes like I outline step by step in my 50 page free poker guide. Now, here's what you should NOT do if your goal is to start crushing the micros and steadily move up to bigger games. Do not listen to anyone who tells you that you need to know "GTO." This is literally like a cancer that is killing the results of so many low stakes players. I know because I get the painful emails from them every single day. As I have been saying for so many years now, you should be playing an exploitative style of poker in low stakes games where you are looking to counter the massive glaring weaknesses that almost all of the regulars still have. Exploitative poker is the only style of poker that I teach by the way in everything that I put out here on the blog, in my books and in my YouTube videos. Now don't me wrong. Once you get to mid or high stakes then you should begin to look into game theory optimal approaches to poker and play around with some solvers as well. But it is literally less than 5% of people who will ever get to these stakes and actually have the skills to beat these games. The bottom line is keep it simple when you are first starting out. Don't try to reinvent the wheel. 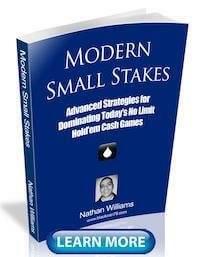 Just learn a simple tight and aggressive strategy and play in good poker games. If you do this, it is really not that difficult to beat the micros even in today's supposedly tough games. Then you can steadily start moving up the stakes and making the real money in this game. But here's the other thing that nobody else is going to tell you these days. The strategy that you use at the poker tables actually isn't even what matters the most anymore. And that is because the mental side of the game (tilt control, work ethic, discipline) is more important than anything else if you want to become a poker pro in 2019. In fact, in my opinion, the actual poker strategy that you use isn't even the #2 most important thing anymore. That honour goes to game selection (making sure that there is always a fish at your table). So why is the mental side of the game so important now? With the tougher overall competition these days at all levels, this means that your edges are thinner than ever and this ultimately means more variance. Therefore, it is only those who can handle the constant ups and downs and keep playing their A-game who are going to be successful in today's games. Maybe 5 or 10 years ago you could get away with having a bit of a tilt problem. After all, there was always some donkey around the corner waiting to dust off a stack to you. This isn't the case anymore in 2019 games. If you aren't actively working on the mental side of your game now, you will get left behind, guaranteed. This is why you constantly see me talking about regular exercise, good nutrition, meditation and solid sleep these days. This is the #1 area where I am beating my competition in today's games because hardly any other pros are taking this seriously. I am better rested than they are, less stressed, more focused, feeling more confident and ultimately less likely to tilt when adversity strikes. This gives me that crucial edge that I need to stay on top. You also need to develop the work ethic and discipline to put in the long hard hours at the table and also away from them studying and improving your game. Those who are not willing to put in the work are being weeded out more quickly than ever in 2019. If you really want to be a poker pro, then you simply have to be willing to work harder than the next guy. So as I have mentioned several times now throughout this article, game selection is massively important if you want to be a poker pro. So many people still make the huge mistake of just sitting down in any poker game and expecting to win. But this just isn't how the game of poker works. Your winnings in poker are the direct result of the people that you are playing against. If you consistently choose to play in any poker game, you are literally giving up your poker results to random chance. So what you need to be doing instead is finding the games with bad players in them. If you play online then you want to be looking for someone with HUD stats of a 40% VPIP or higher. And these are just a few of the highlights! In short, I don't play poker unless one of these guys is at my table. Because I know that they are the entire reason that I there. They are how I get paid. Now sure, these are the kinds of players who will get lucky against you sometimes because they are playing so many ridiculous hands. And yes it can be frustrating. But you have to understand that poker is a long term game and in the end they are always losing massively. The bottom line is that if you want to be a poker pro then game selection is simply part of the job. Amateurs sit down to play at any table. Poker pros are much more discerning. 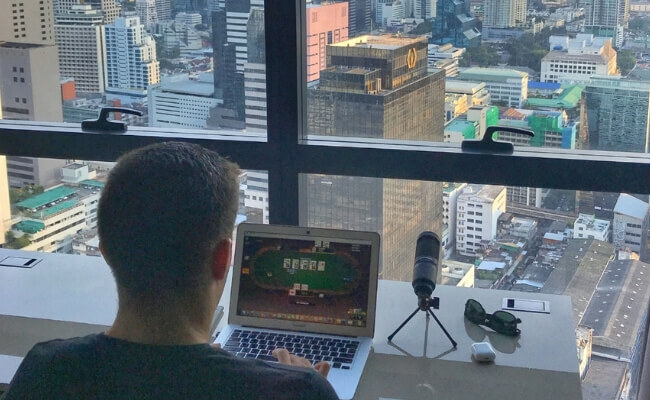 So you want to become a poker pro in 2019? That's awesome, poker is still a massive industry with tons of money in it, and it isn't going away any time soon despite what some of the pessimists will tell you. And I am living proof of what you can do with just a little bit of dedication. After all, I will be the first to admit that I am nowhere near one of the best poker players in the world. However I have made a 10+ year career out of this game now while so many others have failed. I made a lot of money at the poker tables by using a simple TAG strategy, having good game selection and putting in a lot of long hard hours. I think the main point of this article is that you have to really want it though. In my experience a lot of people say they want to be a "poker pro" but when the first big downswing hits or that new show comes out on Netflix all of the sudden they find excuses not to play. As the old saying goes, being a poker pro is a hard way to make an easy living. If you want all that freedom and the ability to play a card game for a living, then you need to earn it and respect it. For my day to day life as an online poker pro, make sure to follow me on Instagram. Let me know in the comments below what you think it takes to become a poker pro in 2019. Yes, I was apprehensive to discuss my poker strategy for many years. However, I then saw that lots of poker training sites and coaches were popping up. This made me realize that the information was going to get out there whether I liked it or not. I also realized though that there is a very big difference between knowing and applying. You can teach someone all of the best poker strategy in the world but if they choose not to apply it consistently at the poker tables, or tilt too much, then it is all for naught. And in my experience, this is the case most of the time. Thanks Dean, I am glad that my poker advice is helping you. This website, while educational, is also a business just to be clear. While I love helping people achieve their poker goals, I do get compensated for this. All the best at the tables. I am sure, there are lots of recreational players, who open a poker account, make a deposit and just sit down at the tables without spending any time or effort to study strategy. After having burned through one or more deposits, most of them then probably either stop playing or start to study and improve. But as long as a steady flow of new players are coming in to replace them, the games will still be beatable. I’ve never really understood why anyone would want to advertise that they are a Poker Pro anyway. 99% or even 99.99% of people have an ego problem that must state that they are a Poker Pro. What benefits does anyone get by telling the world they are a Poker Pro? You bring attention to yourselves, the Taxman suddenly likes you and all your friends and family think you have a never ending wallet of cash. Really, why would you tell people that you play cards for a job, if it’s not to brag. If you are a big shark in the sea what don’t you do? You do not tell the smaller fishes you are hungry. Why not? Because you scare off all the little fishes and then you go hungry. Calling yourself a Poker Pro is about your self Ego, that’s it. 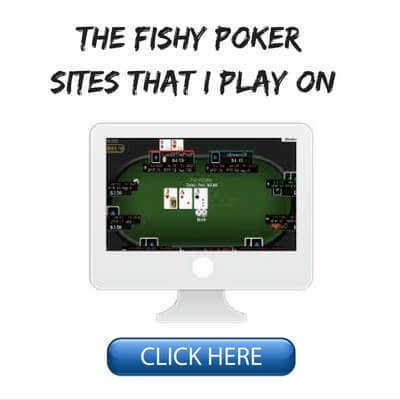 Lose the ego & name and you’d be surprised how easier finding fish to play poker with you is. So instead of scaring the little fish away, they will be happy to come to you. All in my humble opinion of course and this is NOT a personal attack on Nathan, this is just a general observation from playing poker for 19 years and yes, a winning player at that. Great post Nathan per norm. Thanks Plaza! For me personally I don't worry too much about the whole "poker pro" thing. People can call themselves whatever they want. At the end of the day the only thing that matters is how profitable you are in this game. It's an empty brag, and they're just dreamin'. If you're really that good, keep your mouth shut and let your cards do all the bragging. They'll figure it out eventually, and you'll see half the table leave when you log on or get seated at a live venue. Great post as always. I went pro about a year ago after starting out with your books and everything you say is true. The mental part of the game and dealing with losing days is still the hardest for me. But I am working on it! Nice work TJ! As a highly competitive person this has always been the most difficult part of playing poker professionally for me as well. Thanks for the constant flow of support. These articles help me so much! I have no interest in or prospects of going "pro". I used to play online quite a bit at FTP and PokerStars, and brick-and-mortar at our local card room. I could go to Vegas with $100 in my pocket and play just about all night long. My strategy and tactics have evolved of course, but I'm not that interested in the current "GTO" trend. There's a show "Moonshiners", and one of the guys went to help a distillery get back on its feet. He saw the distillers using a computer to figure everything out. He told them "moonshine is made by moonshiners, not computers". In the same way, poker is played by people. Back in the day (when GTO was just a car) the mantra was "play the people not the cards", meaning that regardless of the cards (and odds, pot or implied or otherwise) I could beat you if I had a read on you. I agree with you that TAG is the way to start, and something to stick with when it's time to go back to basics for whatever reason. The first book I ever read was Hellmuth's "Playing Poker Like The Pros", and his basic advice was "tight is right". So not all that much has really changed. Find the right table, play position, pick your spots to make a play when making a play is correct, but don't rely on being cute and never go broke to a pair. That philosophy has stood me in pretty good stead for 25 years. All that said, your columns are great, I read them every week and follow your YouTube channel, and your attitude is even better. Makes me wish I was young enough to move to Thailand! Keep on keeping on. 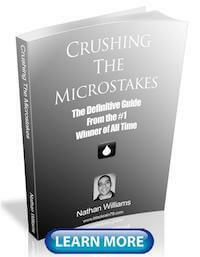 Thank you Nathan, before I found some of your work I had been reading a lot about poker but it was mostly directed towards higher levels than the micro levels. You were up front about your message being for beginners and micro levels. Within a month of using your directions I have been able to move up a few levels. At this time I usually play NL50c but step up to NL$2 at times. This past week at NL50c I have had an incredible run and have added just under 2 grand to my BR. Had I not gotten your books and videos I honestly believe I would still be losing regularly. Thank you very much Nathan you are appreciated greatly in my home. Len. "Poker is not easy in 2019. And yes, even at very low stakes like I talk about all the time on this blog. 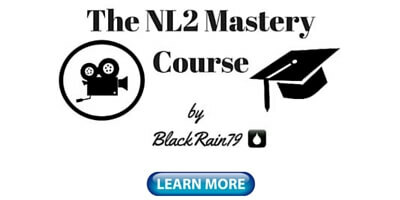 Many poker players are studying more these days, improving and some of them play pretty well!" "Do not listen to anyone who tells you that you need to know 'GTO'. This is literally like a cancer that is killing the results of so many low stakes players. I know because I get the painful emails from them every single day". How does this happen? It's because GTO has become the latest fad. There is nothing new to GTO, and it's been around since the mid-60s at the very least. Secondly, these players have only a superficial understanding and fail to realize that GTO is defensive. This is how you play when you're in a game where your opponents can level as well as you, or even have you outclassed in that regard. 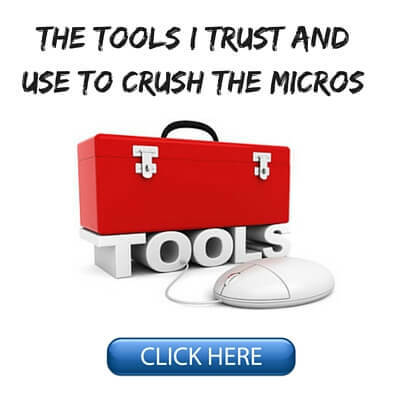 It is not a magic bullet that's a short cut to quick riches. (There is only one viable get rich quick method: sell the suckers get rich quick plans.) If they had more than a superficial understanding, they would know that. Furthermore, how many of these players are applying GTO badly and costing themselves even more than they would have lost had they just played by the seat of their pants? Straight up, boring old ABC is still the way to beat the rec-fish, now and yesterday. Online poker has definitly evolved. The first time, I played, was back in 2006 at PartyPoker, and even though I had read zero strategy articles, and spend most of my time chatting to other players, I was still able to turn a small profit. 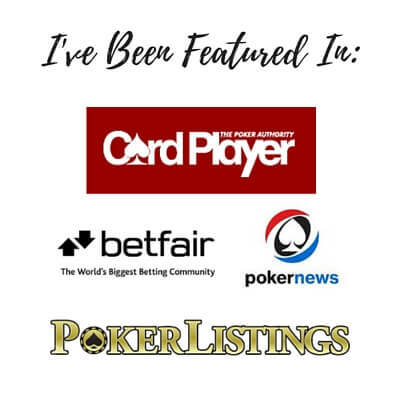 You can see it also on a site like The Poker Bank, where they have a lot of hand history reviews from around 2011. Many of these are from 100NL, and the play is a lot worse, than what you find at most 10NL tables today. The main thing in the micros is, that the games have become reg infested. There are a lot of players today from places like Eastern Europe or South America, who are playing the micros at least semi professionally and in many cases probably manage to take out a small amount every month. The games are stil beatable, but not without table selection. If you just sit down at a random table full of these regs, you might be able to beat them for a few pennies, but its unlikely to be enough to pay for the rake. These guys are not world class players, but they are just not making the same massive mistakes, which recreational players do. Even live poker has certainly evolved at least in high stakes. If you see the old TV shows like High Stakes Poker or Poker After Dark, the pros of that era took a lot of lines, which today are understood to be rather poor. Some of the play in those 100.000 dollar hands is almost fishy by todays standards.